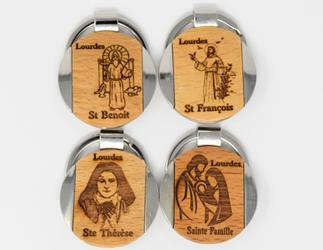 DIRECT FROM LOURDES - Olive Wood Lourdes Key Ring. Olive Wood Lourdes Key Ring. Olive wood Lourdes round key ring with metal sides.